Embark on your AI Journey. 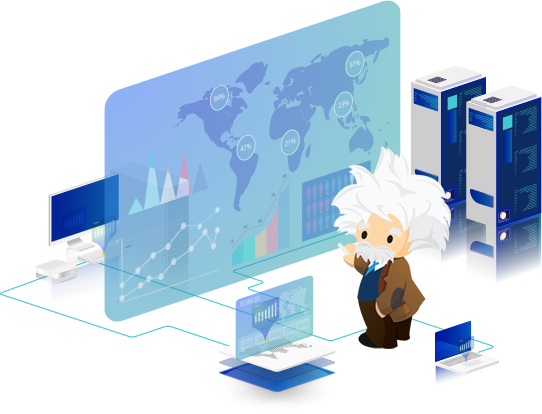 When implementing Einstein Cloud products, you don’t just need Salesforce consultants. You need AI experts who understand how this platform works at its core. Building out any part of the Einstein Cloud is challenging to do it on your own, it takes a team staffed with developers, business analysts, data architects, and AI experts. Here at NeuraFlash we aren't just Salesforce consultants, we are AI experts. Identify significant patters and trends you can act on. Understand your customers in a whole new way. Analyze customer interactions with your Business across all touch points. Embed AI-powered assistance right where it's needed. Know more and guess less with Einstein AI. Predict which leads will convert, which articles will help resolve service questions and more. Impress every customer with a personalized experience. Leverage historical information available at your fingertips.